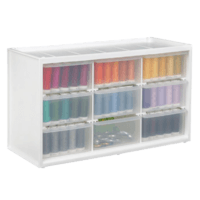 The Sidekick Cube with Open Tray includes a sturdy white tray that rests on top of two removable dividers allowing you to customize your storage. 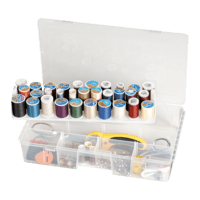 This storage box features a sturdy side-opening lid to ensure that your supplies never spill out. 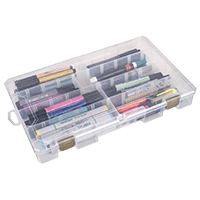 The Sidekick Cube's unique design, sturdy construction and transparent plastic make it ideal for storing and transporting arts and crafts supplies. 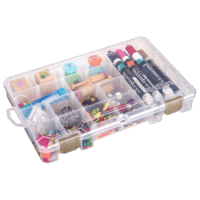 See your supplies at a glance with this crystal clear art/supply box. 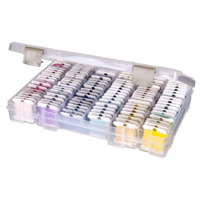 It&apos;s compact size makes this box ideal for children, small projects, watercolor painting supplies and sewing supplies. The sturdy handle and latch are great for projects on the go. Made in the USA. Lots of storage in this box. 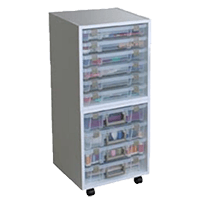 In lid storage includes dividers, substantial bulk storage area under tray and a large capacity lift-out tray. 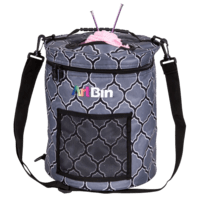 Comes with sturdy latches and carrying handle and is lockable. 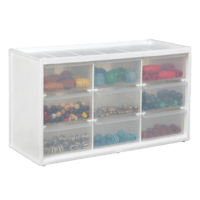 Versatile, value storage for all types of supplies . 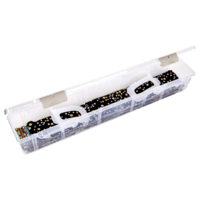 Each box includes removable dividers to enhance storage capabilities. 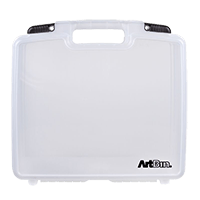 Built with a draw-tight latch along with sturdy tongue-and-groove construction and they have our Tip-Guard trays that prevent spills. 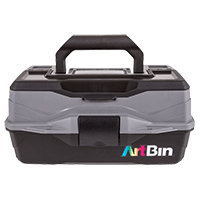 The NEW improved ArtBin One Tray Box features a cantilever tray with removable dividers. 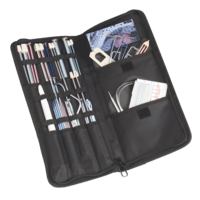 This allows for more storage of longer items such as paint brushes, pencils and markers. 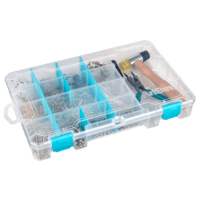 It has a large open area in the bottom of the box for storage of bulkier supplies. Perfect for both art students and professionals. 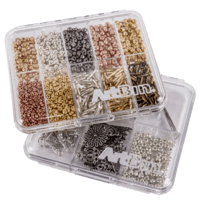 The NEW improved ArtBin Three Tray Box features 3 cantilevered trays with removable dividers. 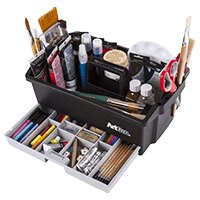 The top tray is designed to allow for more storage of longer items such as paint brushes, pencils and markers. 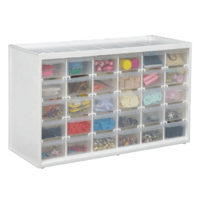 It has a large open area in the bottom of the box for storage of bulkier supplies. 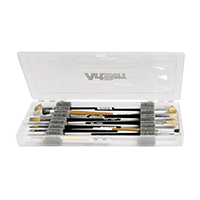 Perfect for both the professional artists and art students. 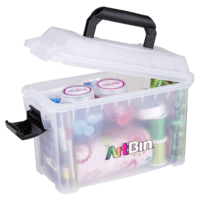 The ArtBin-Lift out tray box is the perfect for storing all your art and craft items. The sturdy handle makes it easy to transport. 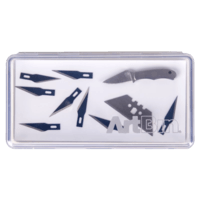 Great size for kids arts and crafts!